Taylor Swift gives another reason to avoid a getaway car! Sources reported earlier this week that a stolen car without license plates crashed into the gates of the songstress' Rhode Island home because of a high-speed chase with police. According to local media, the vehicle "eventually swerved to avoid a crash before slamming into the gates outside Swift’s home," leaving it "heavily damaged." Nobody was home when the crash unfolded. Fans were curious to know what the Love Story singer thought of the incident. Well, we do have an answer. 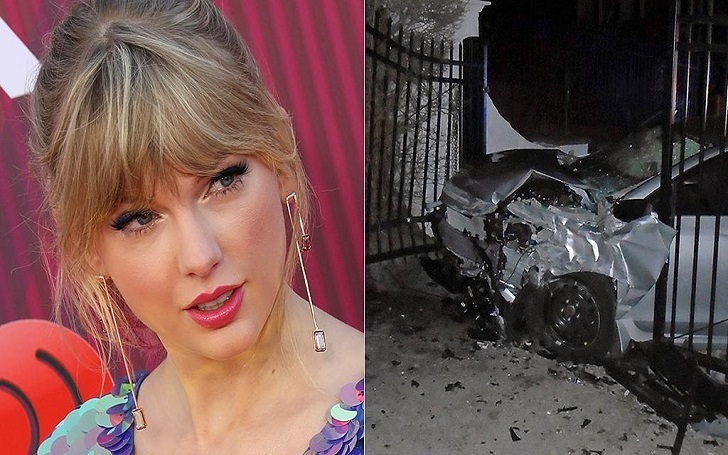 A fan shared a post, writing, "The driver of a stolen car crashed into the gates of #TaylorSwift's Rhode Island home after leading police on a wild car chase." Swift responded on the post, writing, "Nothing good starts in a getaway car." Swift has a song titled "Getaway Car" on her album Reputation. The song, which starts with the lyrics "No, nothing good starts in a getaway car," was played during her successful U.S. tour.